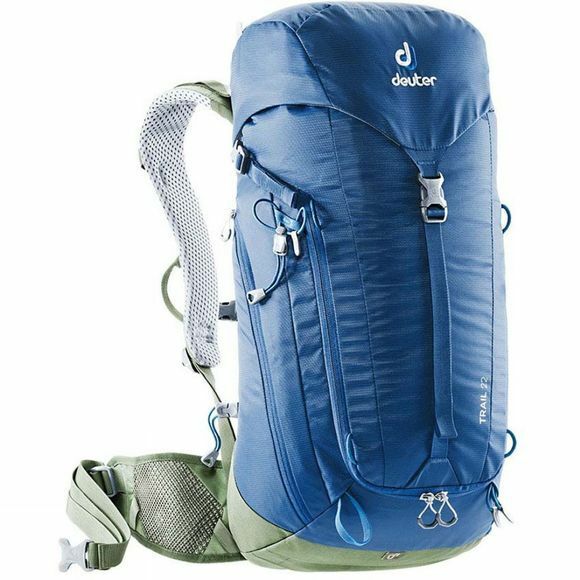 The Trail 22 Backpack from Deuter has 22L capacity with a handy two-way zipper on the main compartment. A large zipped side pocket is also easily accessible for stowing gear safely with an elastic side pocket the other side for quick access. A good transfer of load is all thanks to the flexible Delrin U-Frame, supported by an adjustable chest strap and hip belt for those longer journeys. ActiveFit shoulder straps are perforated and designed to offer further comfort with connected loops attached for carabiners. Should the weather take a turn for the worse, not only is there a removeable rain cover, a wet laundry compartment is available to stash away those damp garments. The backpack has a flat lid construction to allow freedom of movement, even with a helmet.